Nebula Link, a leader of connected vehicle technologies in China, today announced the launch of its new C-V2X onboard unit (OBU), the V-Box, and its enhanced roadside unit (RSU+), the T-Station. Nebula Link's new V-Box and T-Station solutions will utilize the Qualcomm® 9150 C-V2X chipset solution, which is based on 3rd Generation Partnership Project (3GPP) specifications for direct communications between vehicles, infrastructure and pedestrians over the globally harmonized 5.9GHz ITS spectrum. The Qualcomm 9150 C-V2X chipset solution is a product of Qualcomm Technologies, Inc., a subsidiary of Qualcomm Incorporated. The new solutions are expected to sample in Q4 of this year, is designed to provide dozens of LTE-V2X applications, sensor sharing and whole-route traffic lights adaption, in addition to regular vehicle-to-vehicle (V2V) and vehicle-to-infrastructure (V2I) scenarios, built upon the China SAE ITS stack. 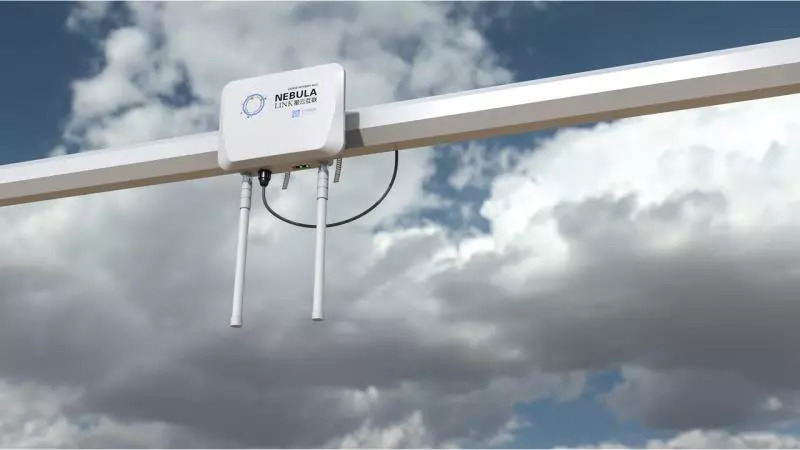 Nebula Link set up its vision to provide ubiquitous end-to-end connection technology and application services for autonomous vehicle and smart cities. In addition to the new C-V2X product line, Nebula Link has previously deployed its Dedicated Short-Range Communication (DSRC)/ LTE-Vehicles (LTE-V) dual-mode compatible OBUs and RSUs in China's national ICV pilot zones, such as A NICE CITY (Shanghai), i-VISTA (Chongqing) and M-ZONE (Beijing). "As the leading vendor of V2X products in China, Nebula Link has paid great effort for accelerating the development of the Chinese V2X standard. With years of trial deployments, we can now provide flexible solutions to enable quick deployment for ICV pilot zones, smart road constructions and R&D of connected and autonomous driving," said Dr. Yizhi Wang, the Vice President of Nebula Link. "Our V-Box and T-Station are the first C-V2X products implementing the China SAE ITS stack featuring the Qualcomm 9150 C-V2X chipset solution, and we are pleased to work with Qualcomm Technologies, as well as the industry as a whole, to accelerate the commercialization of C-V2X technologies, and help to improve traffic safety, mobility and environment." Qualcomm Technologies产品管理副总裁Nakul Duggal表示："星云互联是中国V2X产品和应用开发的领先企业并拥有大量专业积累，Qualcomm Technologies很高兴与他们密切合作，以帮助缓解中国独特的交通环境——包括高密度交通流和复杂的基础设施所带来的问题。我们祝贺星云互联基于我们的Qualcomm 9150 C-V2X芯片组解决方案推出两款V2X生态链中的关键产品，并期待继续与中国的汽车和交通生态系统合作，实现C-V2X技术在改善道路安全和提高交通效率方面的效益，并为自动驾驶提供支持。"
"With Nebula Link's leadership and expertise in developing V2X products and applications, Qualcomm Technologies is pleased to work closely with them to help mitigate problems that stem from China's unique environment of heavy traffic and complex infrastructure," said Nakul Duggal, vice president of product management, Qualcomm Technologies, Inc. "We congratulate Nebula Link on launching two key products in the V2X ecosystem featuring our Qualcomm 9150 C-V2X chipset solution, and look forward to continuing our work with China's automotive and transportation ecosystem in delivering on the benefits of C-V2X for traffic efficiency, improved safety and support for autonomy." Beijing Nebula Link Technology Co., Ltd(nebula-link.com) is an innovative Chinese high-tech corporation that designs, develops, manufactures and sells vehicle-to-X(V2X) products, new generation of intelligent transportation systems, intelligent connected vehicles(ICV) techniques and technical services.